For the longest time I have been seeing makeup items and just adding them to my wish list. This has led to me not actually buying the things I really want because my makeup wish list is so long and I just don't know where to start. Today I thought I would change that, I have made a realistic list of makeup items I really want and think I would use a lot! This list isn't the popular makeup items that are around or the hundreds of eyeshadow palettes I think I need! These are the items I truly hope to save up for! 1) Sigma Brush set! I have been looking for a makeup brush set for so long. The problem I have, is there are so many sets and I want to try them all! This Sigma brush set has face brushes and eye brushes! The value of the brushes looks amazing for the price! Essential Kit - Mr Bunny $179. 2) Nars Sheer Glow foundation! I have always wanted a high end foundation. I have heard amazing things about this foundation! I really hope to buy this one day soon! However, I will need to go and get colour matched because I don't want to spend this much money on a foundation that doesn't match my skin colour! Nars Sheer Glow $67. 3) Lorac Pro Palette! I have always looked at buying a high end eyeshadow palette, there are just so many to choose from. The one reason I haven't bought this is because I don't know where to get it in Australia!! Lorac Pro Eyeshadow Palette $83. 4) MAC Mehr! Next time I am in a MAC store I will purchase this!! I have seen so may swatches and have fallen in love with the colour. I can't wait to get my hands on this! MAC Lipstick Mehr $36. 5) Hourglass Ambient Lighting Bronzer and Blush! I really want to try some hourglass products! They look so beautiful! I love the look of the bronzers and the blushes! Hourglass bronzer $74, Hourglass blush $57. 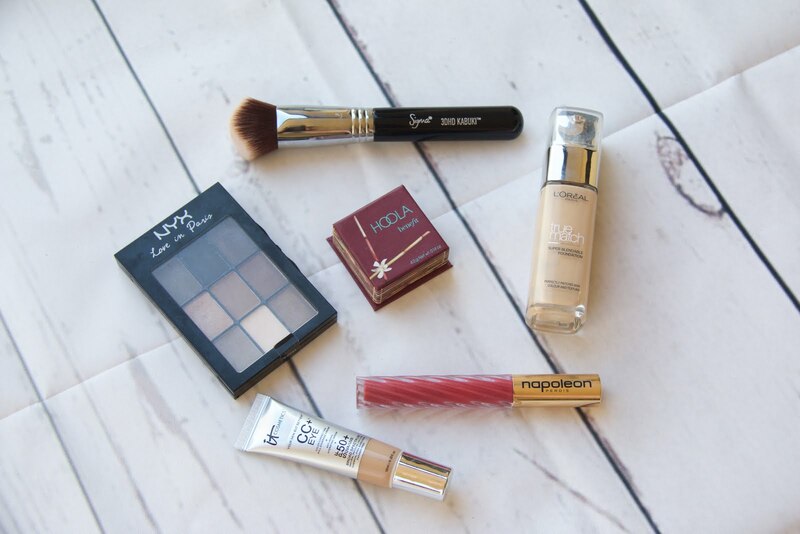 There are heaps more products I would love to own and love to add to this list! However, these are the 5 things I really hope to save up for and purchase sometime in the near future! What is on your makeup wish list?